But that which is true of scientific academies is also true of all constituent and legislative assemblies, even those chosen by universal suffrage. In the latter case they may renew their composition, it is true, but this does not prevent the formation in a few years' time of a body of politicians, privileged in fact though not in law, who, devoting themselves exclusively to the direction of the public affairs of a country, finally form a sort of political aristocracy or oligarchy. Witness the United States of America [...]. Consequently, no external legislation and no authority - one, for that matter, being inseparable from the other, and both tending to the servitude of society and the degradation of the legislators themselves. I bow before the authority of special men because it is imposed on me by my own reason. I am conscious of my own inability to grasp, in all its detail, and positive development, any very large portion of human knowledge. The greatest intelligence would not be equal to a comprehension of the whole. Thence results, for science as well as for industry, the necessity of the division and association of labour. I receive and I give - such is human life. Each directs and is directed in his turn. Therefore there is no fixed and constant authority, but a continual exchange of mutual, temporary, and, above all, voluntary authority and subordination." 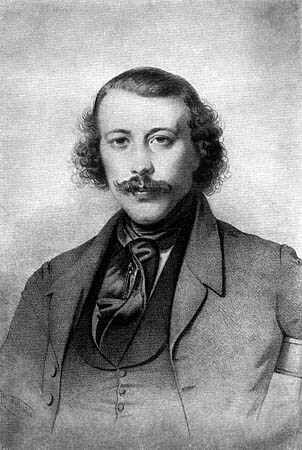 Mikhaïl Aleksandrovitch Bakunin (1814 - 1876); from God and the State, written in 1871. The source does not mention the exact translation used. Put into application, the principles of Manifesto for an Agile Development of Democratie (MDAD) allow to avoid each pitfall mentioned by Bakunin.